Who doesn’t like Italian food? How about a bowl of pasta with a juicy tomato and garlic sauce, or perhaps a freshly baked pizza, topped with melted mozzarella and freshly-grilled vegetables? You can find Italian restaurants in every corner of the globe, from Myanmar to Madagascar, and there surely are many amazing places to eat pasta in Italy. 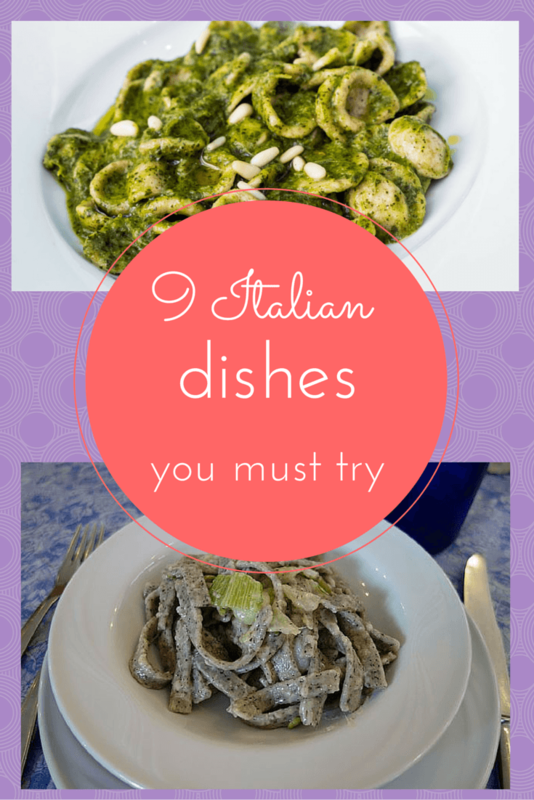 But did you know that there’s a lot more to Italian dishes than pasta, pizza and garlic bread? Italy is a very diverse country, and this diversity is reflected in traditional food. Here we share 9 regional specialties, from the top to the bottom of the boot; 9 unusual specialties that you must try during your next visit (or visits) to Italy. This is a dish from Valtellina, an Alpine valley in Northern Lombardy. It’s made with buckwheat pasta, boiled and mixed with potatoes, chard and a mixture of mountain cheeses, as well as copious amounts of butter. Some restaurants bake it to give the dish a cheesy crust, while others simply cook the whole thing on the stove until the cheese melts. 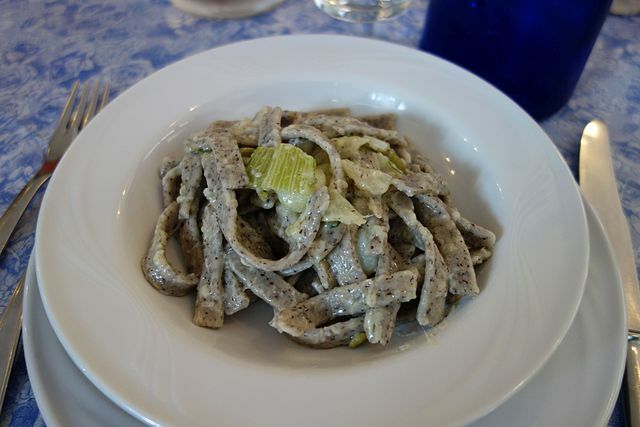 Pizzoccheri is a winter mountain favorite, on offer on the ski slopes and restaurants in Livigno, Bormio and other Valtellina resorts, but it can be found in some Milan restaurants too. 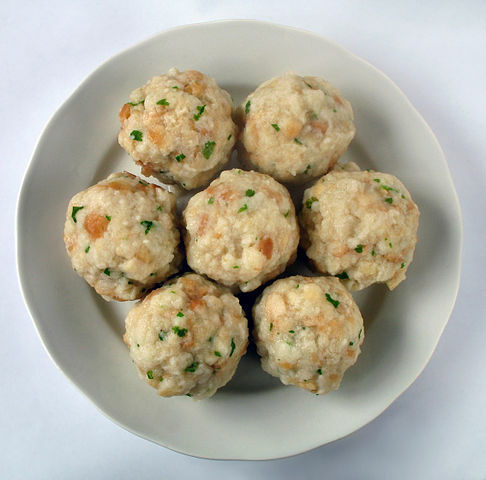 From one side of the Alps to the other, canederli are another mountain specialty, typical of the Sudtirol area. They’re ball-shaped dumplings, made with bread and flavored with speck (cured mountain ham), spinach or cheese – or all three together. They’re similar to Austrian knodel, as a result of the region’s close cultural ties with Germany and Austria. They can be served in broth, or with melted butter and grated Parmesan. They’re just what you need on a cold winter’s day in the Alps. Enter any bakery in Liguria, the Genoa region, and you’ll find slabs of focaccia fresh from the oven. Focaccia is a kind of flatbread, seasoned with salt and olive oil, and it can be topped with onion, olives, cheese, pesto, fresh tomatoes… you name it. Focaccia di Recco, coming from the village with the same name, is slightly different; thinner than regular focaccia, it is stuffed with soft cheese, not topped. Baked fresh, the cheese oozes melted from the crunchy pastry. One piece is definitely not enough. You can find it at any bakery in Genoa and around, but make sure you eat it when it’s still hot. The Emilia-Romagna region, where you’ll find the cities of Modena and Bologna, is famous for its gastronomic tradition. This region is the birthplace of Parmesan cheese, Bolognaise sauce (called ragù in Italian) and balsamic vinegar. 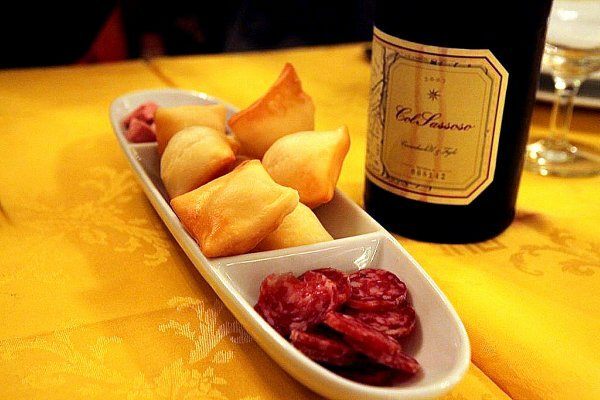 Gnocco fritto is a traditional Emilia-Romagna starter, made with hunks of fried crispy dough served with cured meats (salumi) like Parma ham, salami and coppa (made with pork neck). The meats are sliced thinly, making the fat melt when it touches the hot fried dough – pure magic. Meat lovers just got another reason to go to Florence. The city’s namesake dish is a delicious hunk of T-bone steak, grilled on a charcoal barbecue, cut thick and served bloody. 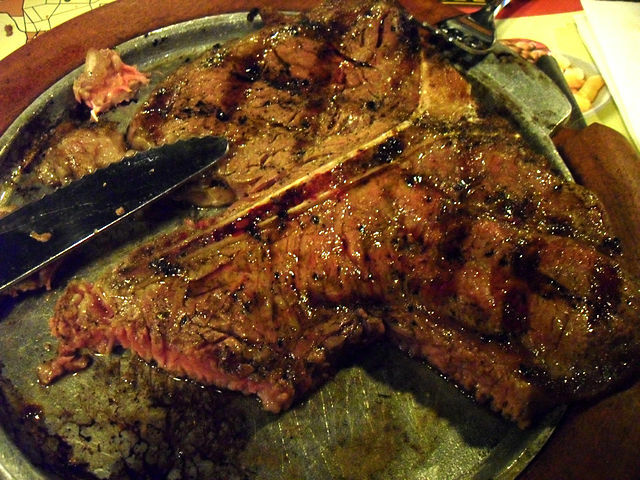 One fiorentina usually weighs around three pounds, perfect to share with friends. Just don’t ask for it well done, or the waiter might laugh while kicking you out. Street food was a relatively recent arrival to Italy, and as a result several local favorites have been adapted to a street food version. Trapizzino, invented in Rome about a decade ago, is a good example of this trend. The name is a word play on tramezzino, a kind of cold sandwich cut into triangles. 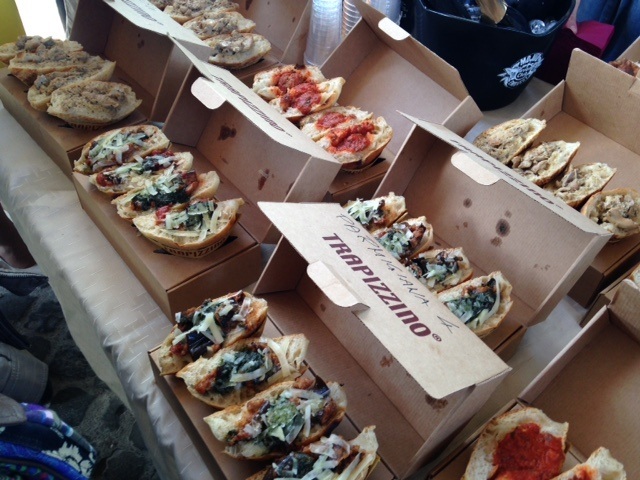 Instead of white bread, trapizzini are made with pizza bianca, thin and crispy flatbread. Instead being filled with limp ham or tuna mayonnaise, they are stuffed with traditional Roman dishes, like coda alla vaccinara (oxtail stew), meatballs or eggplant parmigiana. Meaning ‘little ears’ after their shape, this kind of fresh pasta is typical of the Puglia region, and especially of Bari, its largest city. Walking around the historic center of Bari you can still find gossipy nonnas selling thumb-rolled orecchiette straight from their doorstep. 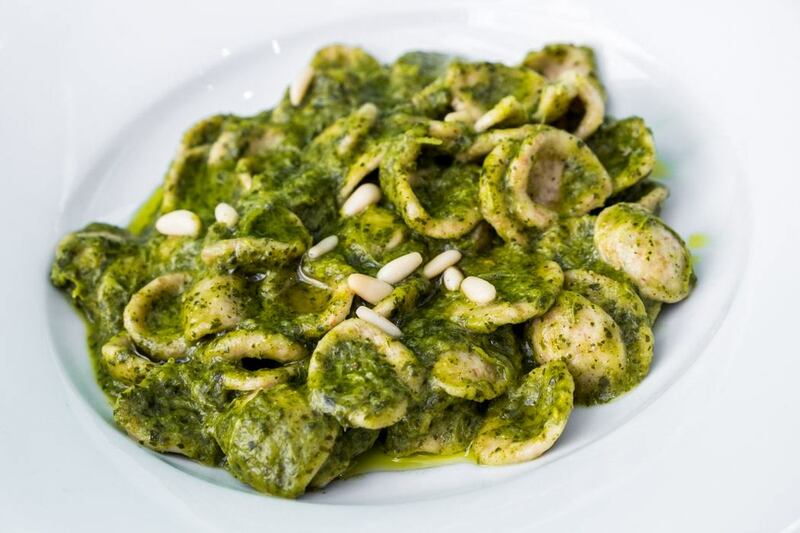 Orecchiette are traditionally served with cime di rapa (turnip greens) but are tasty with all kinds of seasonings, from ragù bolognese to a simple tomato sauce. Many first-time visitors to Italy bypass Sardinia, the foot-shaped island lying west of mainland Italy. Doing so, they miss out on pristine beaches, wild mountains and a tasty cuisine. A quintessential Sardinian specialty are culurgiones, a leaf-shaped dumpling stuffed with a mixture of potatoes, mint and pecorino cheese, blending into a herby, cheesy cream. They can be served with tomato sauce or melted butter. Sicily is perhaps the best destination in Italy when it comes to pastries and sweets. Out of them all, the king of Sicilian patisserie is undoubtedly the cannolo, a fried pastry tube filled with a cream made with fresh ricotta and sugar, then rolled into crushed pistachio or chocolate chips. Cannolo is one of those specialties that is just not as good away from Sicily – the ricotta is crumbly and dry, the pastry soggy and too sweet. Every café and patisserie in the island offers cannoli, but to be ensured a truly mouthwatering experience, make sure they are filled when ordered. Hungry for more food posts? Check out our Jordanian Food and our Penang in Ten Hawker dishes post! I have had a lot of wonderful food experiences in Italy but have not yet tried Orecchiette, Canederli, and Pizzoccheri. I’ll make it a point to seek them out on our next visit – they look and sound delish! You’d love them Elaine! the only problem, you’d have to travel to 3 different parts of Italy to try them all!!! You need to come back then! Yummy! I think I gained two pounds just reading this page and looking at the photos. The pastas look great, but actually it is the steak that really caught my eye. It is done exactly the way I like it. That steak is just something else. You need to go to Florence (or to a restaurant run by Tuscans) – I’m sure there are some in Auckland with all that amazing meat you get in NZ! How yummy do they all look! And so nice to see something other than gnocchi, fettucine, margherita in a list of Italian food. Thanks Shruti! Italian food is so diverse, but not many know that! Hi! I don’t know anywhere where you can order but you can try and make them! Here is a recipe http://www.disgracesonthemenu.com/2012/01/canederli-italian-knodel.html but you’ll find many others online! Bon appetit! No worries! Hope you enjoyed the post. I have heard that Italian restaurants have some really good foods on the menu. 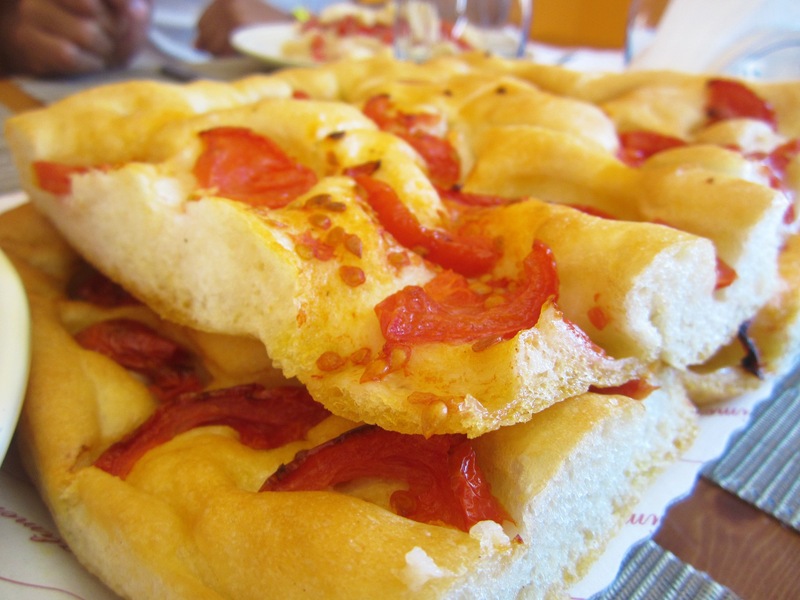 I want to try something like the focaccia di Recco. It looks just like a pizza but without any really sauce or cheese. It looks like it would really taste good. OOOOOHHHHHH Charles Focaccia di Recco has plenty of cheese – that’s why it’s so good! Hope you liked the post! This Italian food looks amazing. I love going out to Italian restaurants, but I have never ordered anything like this before. It looks great, the trapizzino is something that I definitely want to try. You Posted really amazing pictures…i feel like hungry after seeing these pictures.I really want to try something like Canederli (Sudtirol) and Cannoli (Sicily). 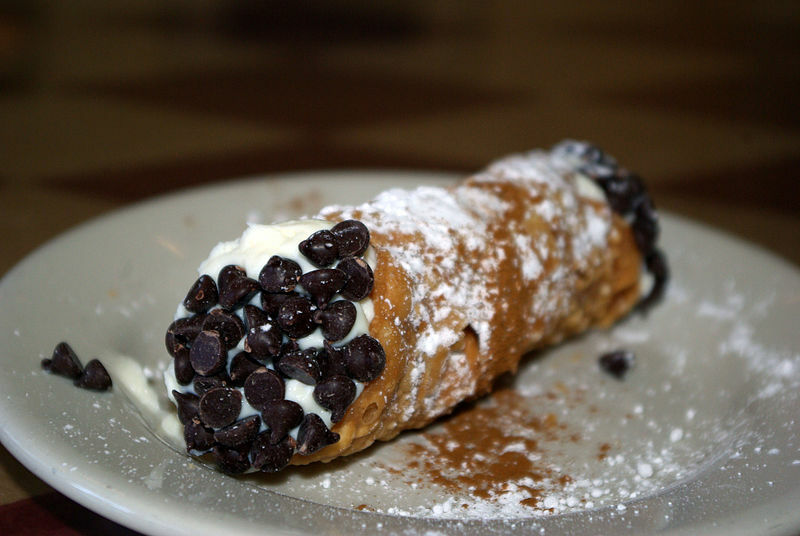 I definitely going to order Cannoli… Keep posting these dishes…. 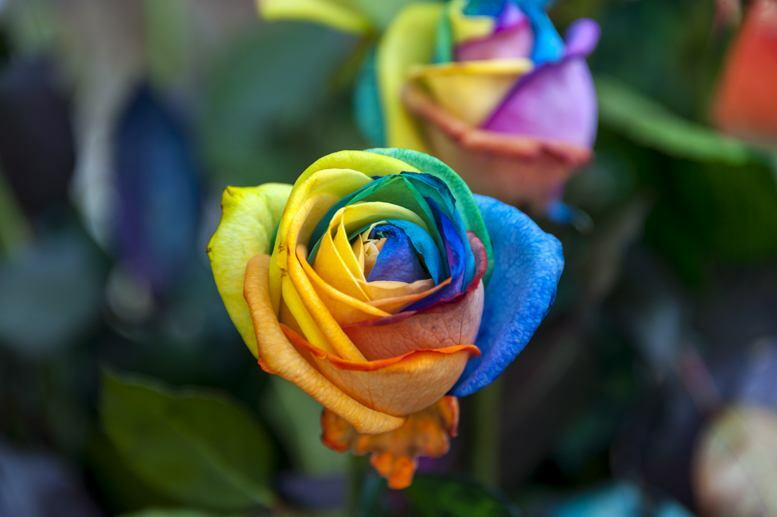 I really appreciate your work….Thanks for sharing with us…. All of these dishes look amazing! It’s a shame you have to do a lot traveling to try them all. The Trapizzino is a neat idea. Thanks! Glad you liked them! 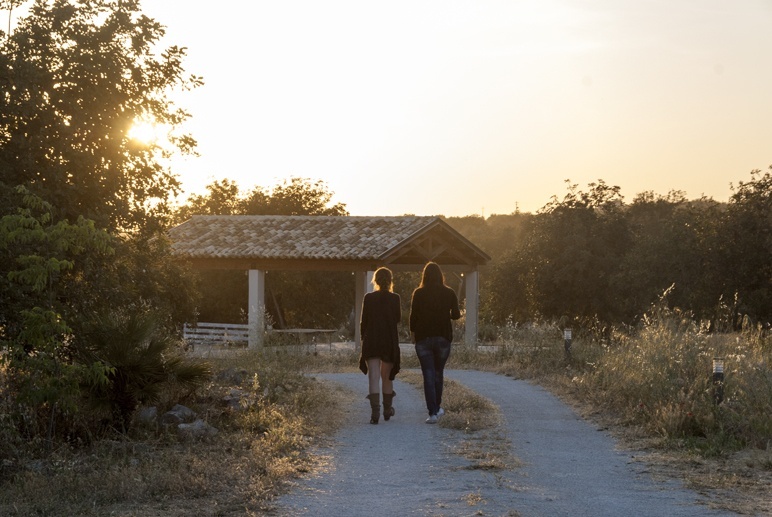 Awesome post, Margherita! I had no idea that the Italian cuisine is so diverse. 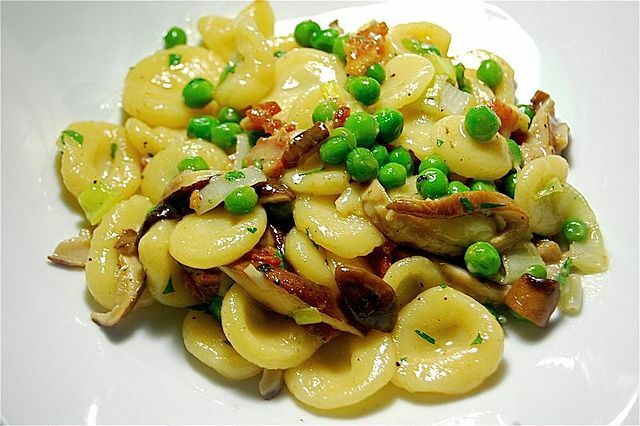 My best friends mentioned how lovely orecchiette with the green turnips were when they came back from their trip to Italy last year but I’m leaning more towards the luscious photo of orecchiette with mushrooms and peas.